A joyful pre-election disco at a polling station, or a voter doing the moonwalk - webcams set up in polling stations across Russia to monitor presidential elections revealed more than just ballot-casting. 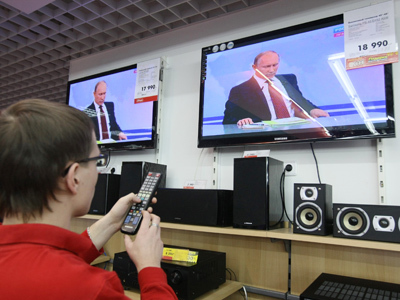 ­Over the past 48 hours, cameras at 91,000 polling stations – set up to observe presidential elections non-stop, ensuring they would be the most transparent Russia ever had – caught not only Russians voting, but also Russians living their ordinary lives. The polling stations recorded over 500 years' worth of live video, with some real jewels among them. 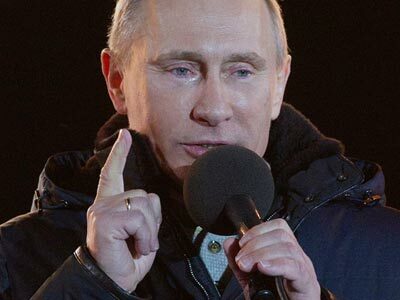 Hilarious “a day of Russia voting” videos have already attracted nearly 2 million viewers. 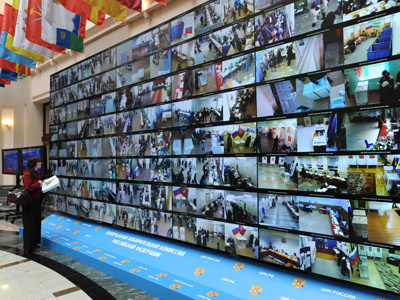 Some joke that Putin, who ordered that all polling stations be equipped with webcams, may get an award for the best reality show. We have seen a man resembling Chechen President Ramzan Kadyrov voting while dancing, children singing and dancing in a ring around a ballot box, and an observer taking a nap at the polling station. Another popular video showed two women doing exercises for their abs, possibly before the station opened. A man doing moonwalk while casting his ballot got 200,000 hits on YouTube. Poling station web cameras in Russia’s Kirov region catch a party held on the night of March 3, hours before the station opened. The video was uploaded by YouTube user ylaUPP. The video was uploaded by YouTube user RaMaBoSS. 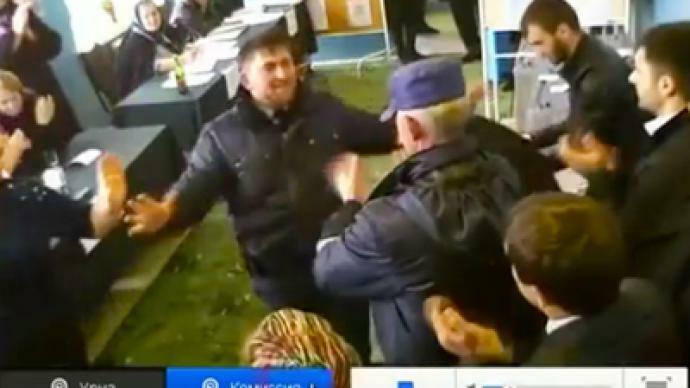 A man resembling Chechen President Ramzan Kadyrov is voting while dancing. Uploaded by The video uploaded by Youtube user UrfinJusRu.